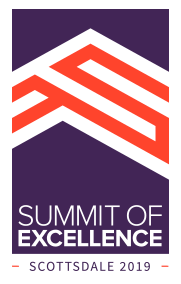 All attendees and their guests are requested to stay at the hotel during the Summit of Excellence event dates. Complimentary accommodations will be provided for the nights of Thursday, April 11, Friday, April 12 and Saturday, April 13, 2019. Please indicate any special requirements you or your guest may have in the appropriate space on the Registration tab. Our event management vendor, TKNL, will look after your hotel reservations for April 11 - April 14, 2019 based on the information you provide on the Registration tab. Should you wish to extend your stay in Scottsdale for personal reasons, this cost will be at your own expense. Room nights are available pre- and post-event at a discounted rate of $324USD/night for a Casita Room (standard), plus taxes, and are subject to availability. Please indicate on the Registration tab if you wish to stay at the JW Marriott Camelback Inn Resort & Spa for nights before April 11 or after April 14. Rooms outside the Summit dates are subject to availability. The event planners will submit and confirm your requests within 48 hours, allowing you to confirm your travel dates. You also have the option of booking extra hotel room nights at alternate locations on your own. Cancellation: You have until 7 days prior to your scheduled arrival to cancel your reservation. Early departures: You must advise the hotel at check-in of any changes to your length of stay. Otherwise, a penalty in the amount of a one-night stay applies.